India's only surviving opera house has been restored to its colonial-era glory, reopening to the public more than two decades after it closed in disrepair. Once the place to be seen for Mumbai's great and good it was forced to close in the 1990s after years of financial struggle. 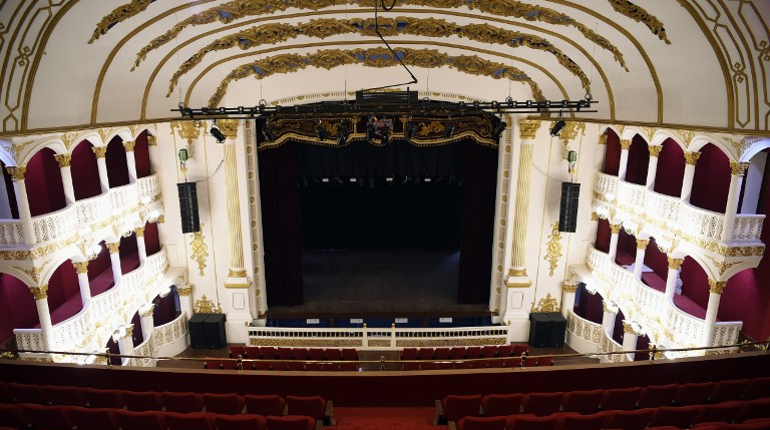 "One of the biggest challenges was bringing in modern acoustics, sound, lighting and air conditioning, all the requirements of a 21st century theatre, while ensuring it didn't jar with restoring a listed interior," architect Abha Narain Lambah told AFP. The Royal Opera House was built in a Baroque style complete with Italian balustrades, marble statues, crystal chandeliers and a gold ceiling. It was inaugurated by Britain's King George V in 1911 and completed in 1916. Only operas were performed on stage for its first two decades -- entertainment for the Indian elite and British administrators involved in the running of the empire. When films started to become popular, the venue, which lies near the popular Girgaum Chowpatty beach in the city's south, was altered to double-up as a cinema. As Bollywood captured popular imagination, it soon became the place for the city's wealthy to watch the latest hit. It could also have inspired a generation of actors -- superstar Amitabh Bachchan fondly recalls watching movies there as a child. And yet it could not maintain its appeal -- by the 1980s the venture was struggling financially and the building was in urgent need of repairs. "The Indian cinema industry was going through one of its worst phases due to video piracy. People literally stopped going to cinema halls to watch movies. "Most theatres shut down as there was no income to even meet daily costs. So there was no scope for any upgradation," the opera house's director, Ashish Doshi, told AFP. "You had these amazing steel girders that had corroded to a level where they were flaking off with a nail. The jack arches were structurally unstable and there were sections of the basement that were verging on collapse. "The first priority was making sure the building was safe, that the overhanging balconies weren't leaning any more, that the cracks were stitched," Lambah explained. "It's a magical space. It's for everyone to enjoy, not just the chosen few," Asad Lalljee, the opera house's curator, told AFP.